Note: This post contains Amazon affiliate links, which support this site at no extra cost to you. I have made Chicken & Rice just in the oven before. It’s actually one of my favorite dishes that my mom would make growing up. I remember my mom putting it in the oven hours before we ate it though. It took a lot of prep time to get it going. We all enjoyed her hard work and ate it right up though. I am loving it even more that I decided to try to make it in my Instant Pot. It was so simple and a easy dump and go recipe. That’s what I love so much about my Instant Pot. Most of the recipes are a dump and go kind of recipe. Sometimes that’s about all the time you have to prepare a great home cooked meal for your family. If you don’t already have a Instant Pot, trust me you are going to want one. Jump on to Amazon and get yourself one today! You won’t regret it. It saves this mama half the time when making delicious meals for my family! 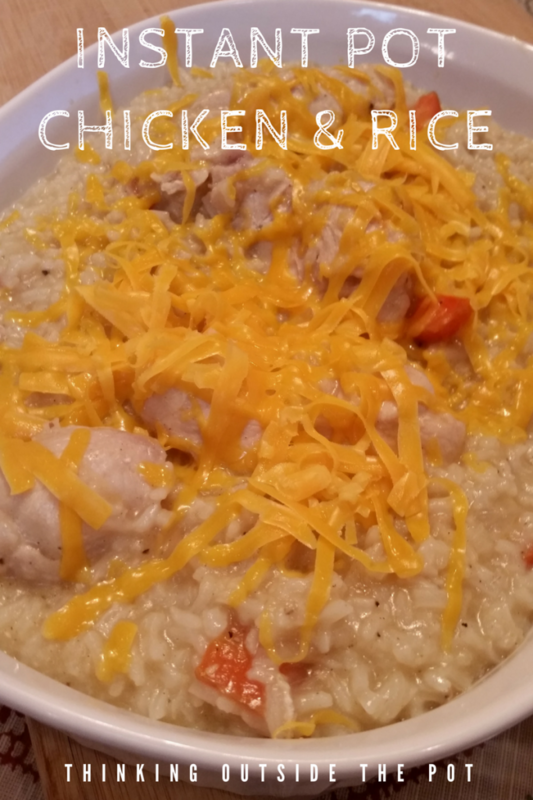 Back to this yummy Chicken & Rice recipe. It’s a little like my mom’s recipe, but I did a few things different. Of course to make it easier as always! 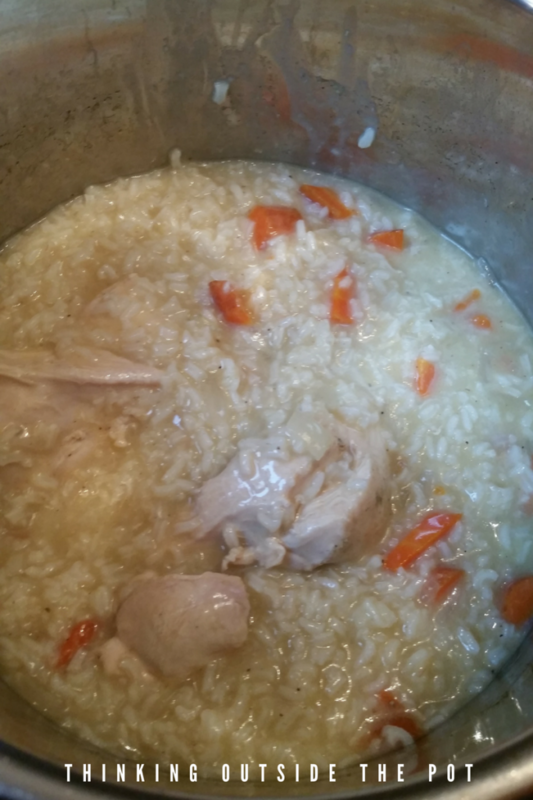 Instant Pot Chicken & Rice4-5 chicken breast1 tablespoon of olive oil1 small yellow onion, diced3 carrots, diced2 garlic cloves, minced1 1/2 cups of white rice2 cups of chicken broth2 tablespoons of dried thyme 1 can of cream of chicken soupsalt & pepper to tasteGarlic salt2 cups of shredded cheddar cheese1: Using the saute setting on your Instant Pot, saute your onions, carrots & garlic. Salt & Pepper the chicken breast. Also sprinkle them with some Garlic salt. Then place your chicken breast in the Instant Pot as well. Be careful to not splatter the oil. Sear each chicken breast fr 5 minutes on each side. Remove the chicken breast for just a few minutes. 2: Add half of the broth and scrap the bits off the bottom of the pan with a wooden spoon. Add your broth, rice, thyme and cream of chicken soup. place the chicken back in as well. 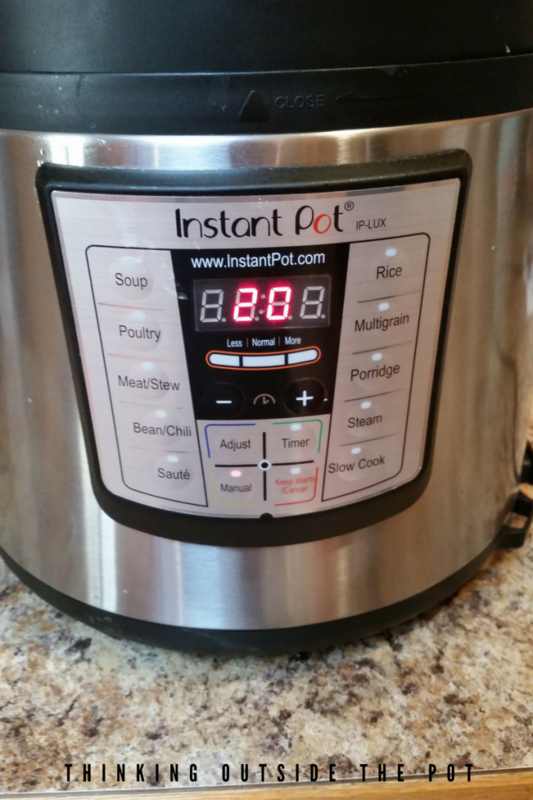 3: Switch your Instant pot to manual high setting for 15-20 minutes. You can allow the pressure to release naturally or manually release the pressure. Either will work. 4: Sprinkle the cheese on top. 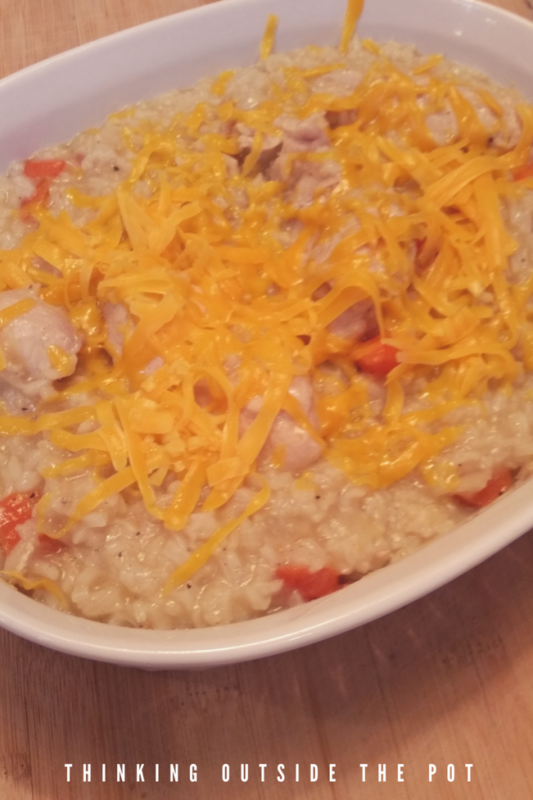 Once the cheese is all melted serve it hot and enjoy your Instant Pot Chicken & Rice .